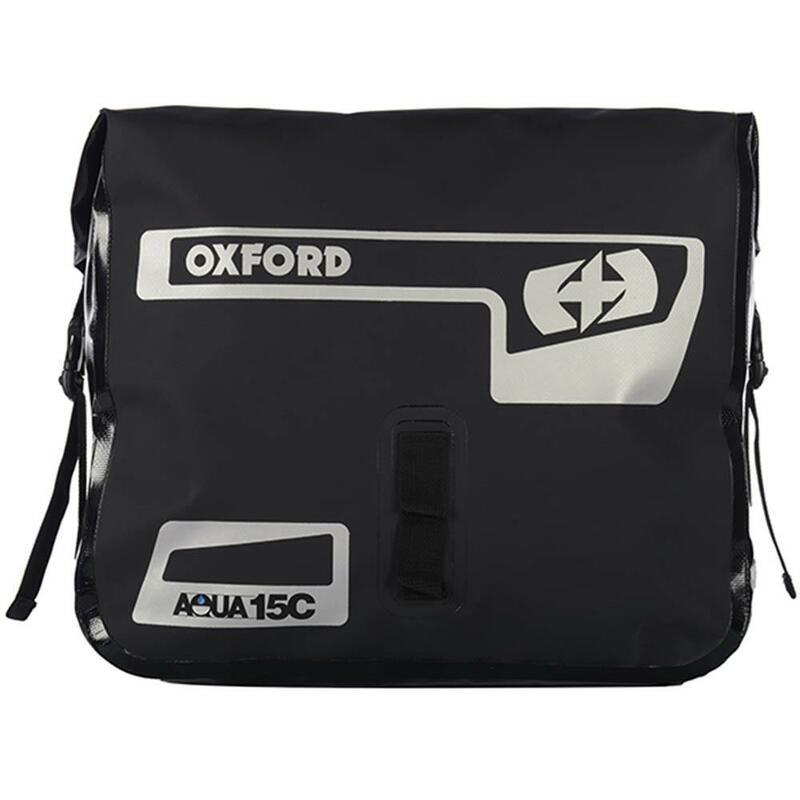 This is a simple, no-nonsense PVC shoulder bag at an exceptionally good price. 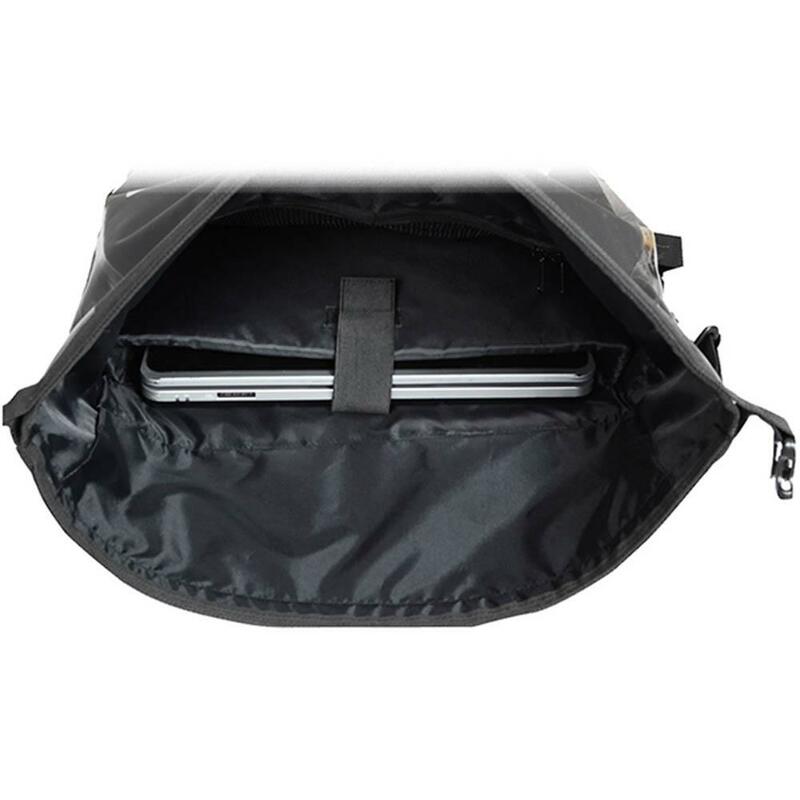 You roll the top over to form a waterproof seal, clipping it to adjustable straps on the side of the bag. Inside there’s a padded laptop compartment and a zipped mesh compartment. Outside, there’s some reflective detailing. The shoulder pad is a good size and easy to position well. There are curious canvas loops on the front.